In Tang Khiev, 85% of people are illiterate. Nearly all live in extreme poverty with extremely limited employment opportunities. Most households depend on livelihoods that are insecure, irregular and the median household income is $13 a week. 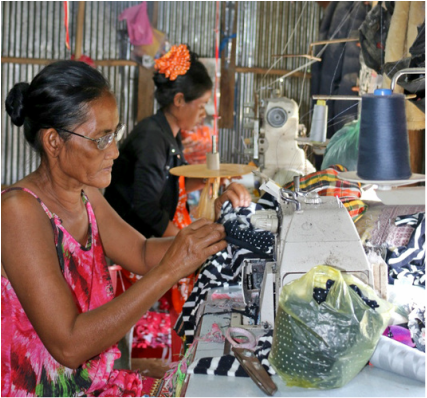 Many of the women in the village are forced into factory work (70 hours per week at 30 cents per hour) and many men are forced to return to Phnom Penh to find work, thus breaking up the family unit. This poverty can also force children out of school and into the fields to work or to the local temple to beg. The goal of this project is to set up a self-sustainable sewing cooperative and training/education centre to provide a pathway out of this generational poverty. 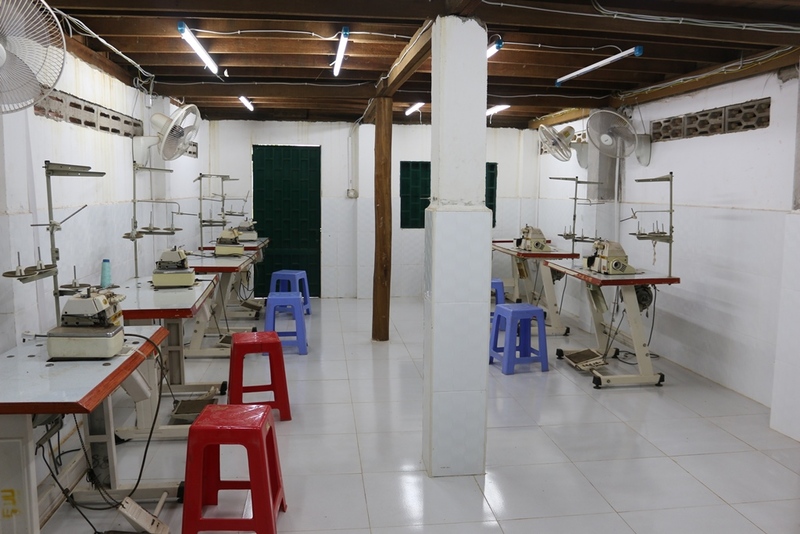 We have already constructed a sewing room with 8 sergers and 5 sewing machines. (iv) Empowerment, opportunities for leadership development and mentoring. Changes will be lasting and sustainable as the participants will be supported into future employment, e.g. 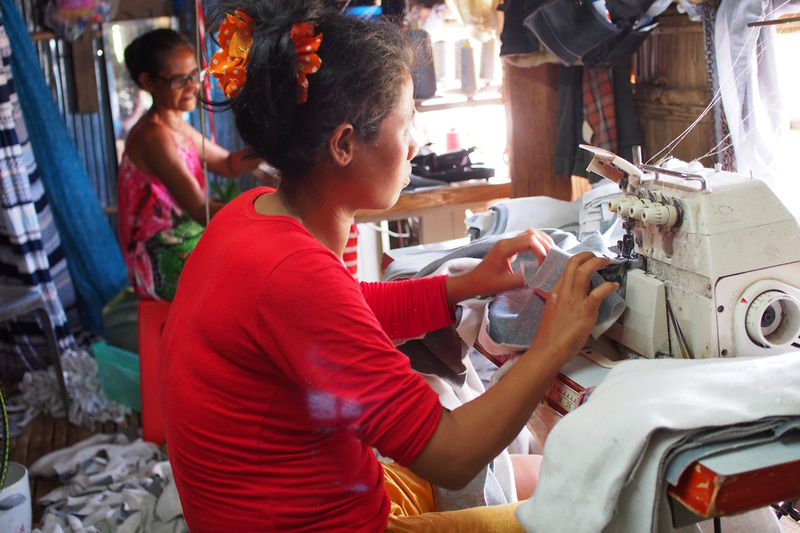 into microenterprise with microfinance, providing a shift from financial reliance to independence. Initially a professional teacher will be employed, with the goal of identifying and training a teacher from amongst the participants. The centre will run as a cooperative to encourage team work and encourage connectivity. As the participants learn and make products, their profits and eventual pooling of resources will not only be injected back into the project, but will also benefit projects that they have chosen in their own community. The centre will be used to produce clothing needed for the community e.g. school uniforms for the primary school and surplus products will be sold at the local market. Due to the closeness of family in Cambodian culture, when one family member succeeds the whole extended family succeeds. As they share resources, with more income, it will open up opportunities for others. An initial, direct cash injection into this project, will provide the opportunity to develop a self-sustainable entity that will positively affect the whole community, on an ongoing basis. So far, the land has been attained for the building and the building construction has been commenced. Once this has been finished, ~ $25 000 is still required for the equipment, resources, a trainer and trainee wage until project self-sustainability is reached. Please contact admin@manna4lifecambodia.org for more details on how to fund, or contribute to, this project.